#1351 Kenilworth Championship Starts Tonight! 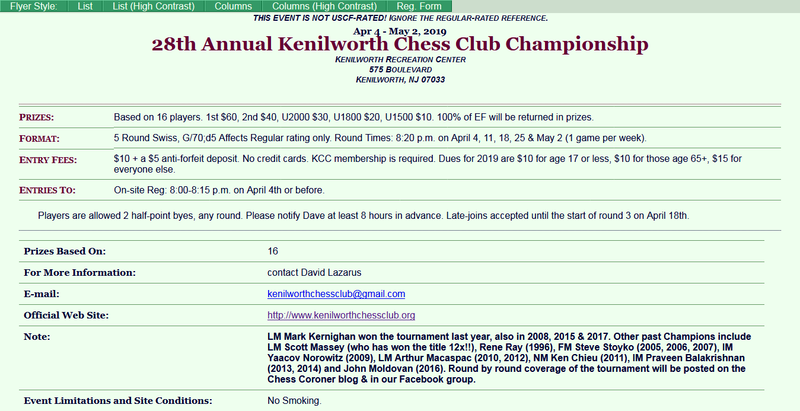 The 28th Annual Kenilworth Chess Club Championship starts tonight! The tournament is a 5-round, non-rated Swiss.